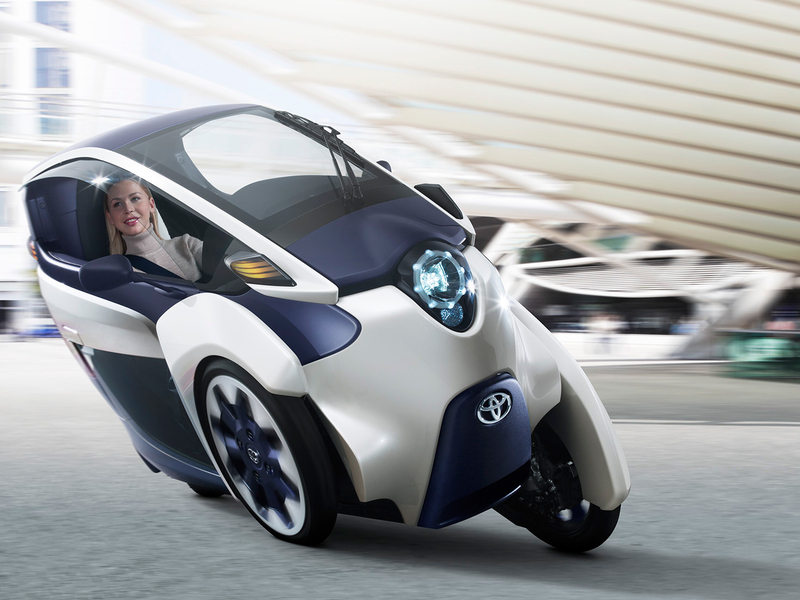 Toyota showed off their new iRoad car at CES 2014. It looks very futuristic and it only has three wheels total. I really like the futuristic look and I also like how it tilts when it is turning. Unfortunately the Toyota iRoad isn’t coming to the United States anytime soon. It is set to be released in Japan and France. The Toyota iRoad gets about 30 miles before it needs to be recharged. If it came to the United States I would definitely take a look at it. What do you think of this futuristic car and would you buy one? Sure, you can repost it.